I have seen this choice at play in the career trajectory of my daughter, a college-trained, secondary English educator who chose to teach in an urban high school through Teach For America (TFA). 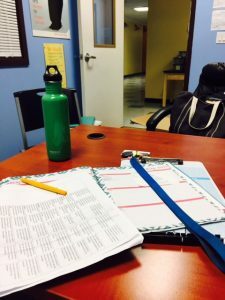 Even with college training, student teaching, and additional summer training prior to entering the classroom, the role demanded endless hours with total physical and emotional commitment before she could see student gains in achievement. After completing her second year, she knew this role was unsustainable in the long term and grabbed an opportunity to take a hybrid role split between teaching and curriculum oversight at the same school. This allowed her to continue to teach AP classes, coach sports teams, oversee student government, and teach ACT preparatory classes — in short, to still impact students with less impact on her. We need to continue exploring ways to make teaching a sustainable career for those teachers who don’t want to leave the classroom, and better understand how and why some long-term teachers stay fresh and effective. As my daughter finishes her fifth year, she is preparing to move full time into an academic coordinator position for the school where she knows the staff, the students, and the classroom culture. Her students have improved their test scores in everything from assessments to ACTs to Advanced Placement courses. They have graduated, and many have gone on to college. My daughter plans to support and mentor the newer teachers as they come into the school. For her, five years in the classroom confirmed the decision to move into a different, non-classroom role. Education researchers point to turnover within schools as a reason our most underserved students fail to thrive, and while the research is mixed, turnover has been found to negatively impact student outcomes, particularly in high-poverty settings. Conversely, a recent study in the District of Columbia found that low-performing teachers left their posts at much higher attrition rates than high-performing teachers, actually benefitting student achievement. Rather than focusing on turnover rates alone, the focus should be on why high-performing teachers leave and how best to retain or redirect those teachers. Thirty or forty years in a middle-class, suburban setting might be conducive to a long-term classroom career; in chronically underserved communities where teaching pressures can be more intense, a shorter commitment might work best for the teacher and the students. If gains are made by the students in those years, we should celebrate those successes, and continue to find new teachers who will challenge the next group of incoming students. If a teacher wants to stay, continuing to improve their effectiveness, that is their choice. The teachers who move on either to supporting roles or different sectors should be applauded for their service and consulted for their cumulative experience.